The classic square design with the Hip roof adds a new space to your home its a completely new room, a halfway house between your garden and your home. 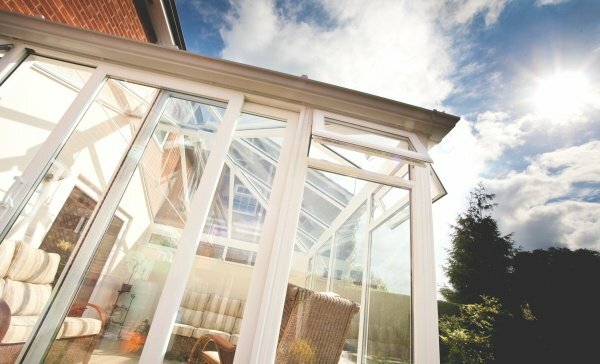 Conservatory Construction - Frames Price includes full height frames giving a total frame height of 2.1m with clear low-E toughened double glazed units and French doors. Construction - A choice of low pitch or variable self-support roof system that will take polycarbonate or double glazed units. Comes complete with cresting, finials guttering and one downpipe. Prices exclude brickwork bases internal cills lead flashings. Supply Only - Our conservatories are delivered flat packed for trade and DIY customers direct to site delivery. Edwardian Full Height Up To 3m x 3m Conservatory - Best Price Online! Edwardian Conservatory Full height panels Buy direct from a conservatory manufacturer, French doors as standard or upgrade to a set of sliding patio doors or Modlok Bi-fold doors. Edwardian conservatory with full height panels. Anything can be changed on your design as we make thes..
Edwardian Full Height Up To 3m x 3.5m Conservatory - Best Price Online! Edwardian Conservatory Full height panels Buy direct from a conservatory manufacturer, French doors as standard or upgrade to a set of sliding patio doors or Modlok Bi-fold doors. Edwardian conservatory with full height panels. Anything can be changed on your design as we make th..
Edwardian Full Height Up To 3m x 4m Conservatory - Best Price Online! Edwardian Full Height Up To 3m x 4.5m Conservatory - Best Price Online! Edwardian Full Height Up To 3.5m x 3m Conservatory - Best Price Online! Edwardian Full Height Up To 3.5m x 3.5m Conservatory - Best Price Online! Edwardian Conservatory Full height panels conservatory manufacturer, French doors as standard or upgrade to a set of sliding patio doors or Modlok Bi-fold doors. Edwardian conservatory with full height panels. Anything can be changed on your design as we make these conservatories ourselfs. ..
Edwardian Full Height Up To 3.5m x 4m Conservatory - Best Price Online! Edwardian Full Height Up To 3.5m x 4.5m Conservatory - Best Price Online! Edwardian Conservatory Full height panels Buy direct from a ;conservatory manufacturer, French doors as standard or upgrade to a set of sliding patio doors or Modlok Bi-fold doors. Edwardian conservatory with full height panels. Anything can be changed on your design as we make these conserv..
Edwardian Full Height Up To 4m x 3m Conservatory - Best Price Online! Edwardian Full Height Up To 4m x 3.5m Conservatory - Best Price Online! Edwardian Full Height Up To 4m x 4m Conservatory - Best Price Online! Edwardian Full Height Up To 4m x 4.5m Conservatory - Best Price Online! Edwardian Full Height Up To 4.5m x 3m Conservatory - Best Price Online! Edwardian Full Height Up To 4.5m x 3.5m Conservatory - Best Price Online! Edwardian Full Height Up To 4.5m x 4m Conservatory - Best Price Online! Edwardian Full Height Up To 5m x 3m Conservatory - Best Price Online! Edwardian Full Height Up To 5m x 4m Conservatory - Best Price Online! Edwardian Full Height Up To 5m x 5m Conservatory - Best Price Online!